It is one of those words that I hear less frequently but have always found it useful (less so when overused, as with any word). It has such specific meaning, that it limits it to (usually) proper use. I am reading P.G. 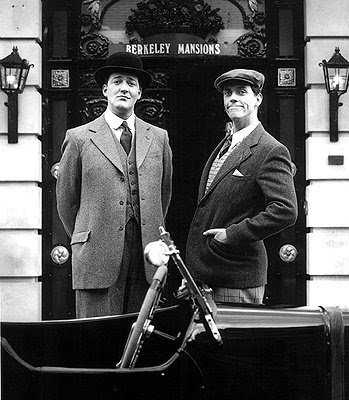 Wodehouse’s The Inimitable Jeeves, can think of no better title. Jeeves is such a particular being. He represents something that probably never existed, at least in one person, but is the personification of decades and generations of proper English breeding, celebration of perfection and wishful thinking. Jeeves is, as the definition says, matchless. Incapable of being imitated. And after a PR firm, the amazon listing for this very Jeeves book appears in a google search. So rarely used is this specific, matchless word.